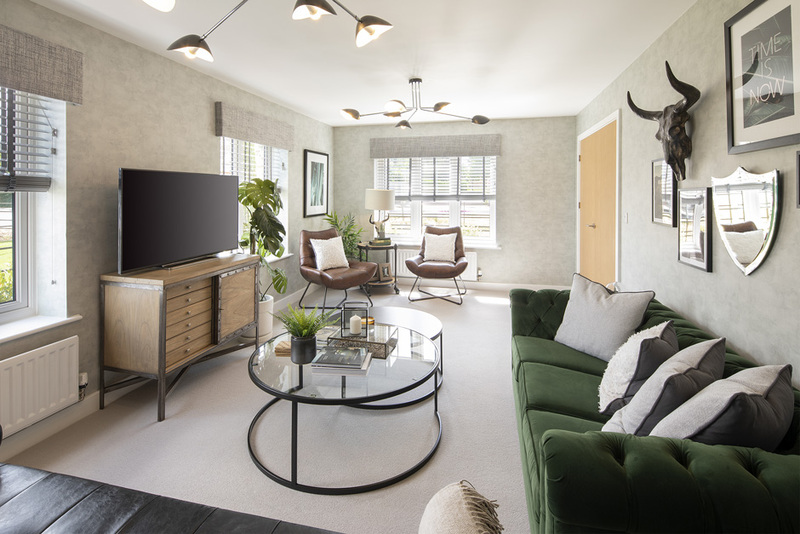 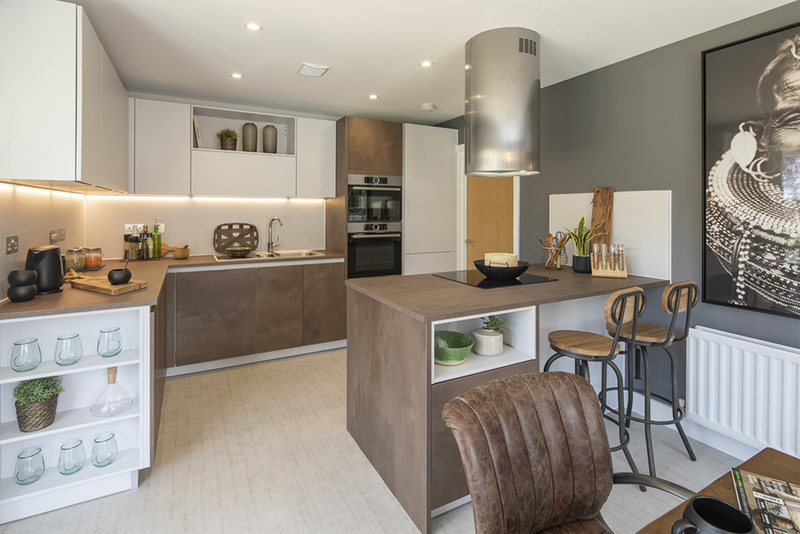 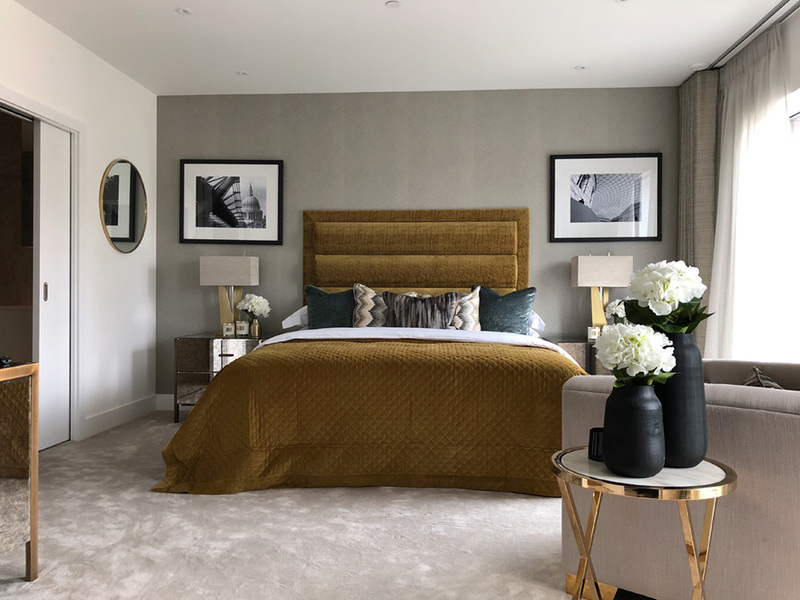 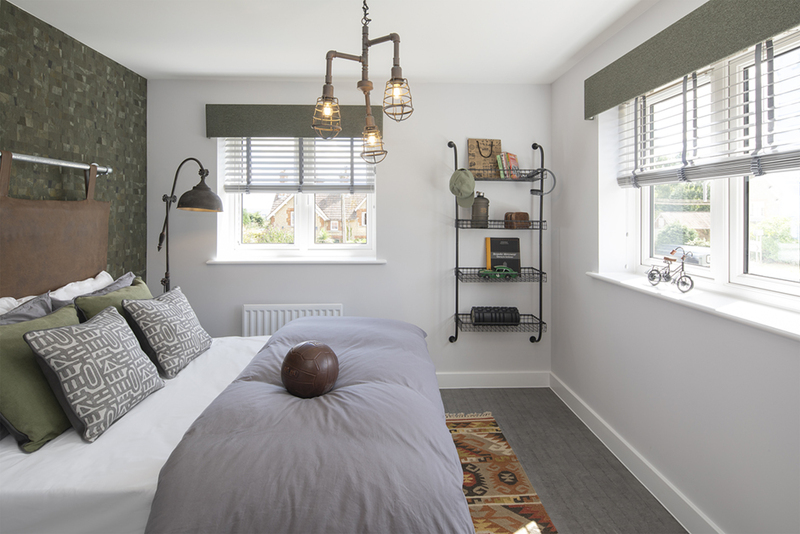 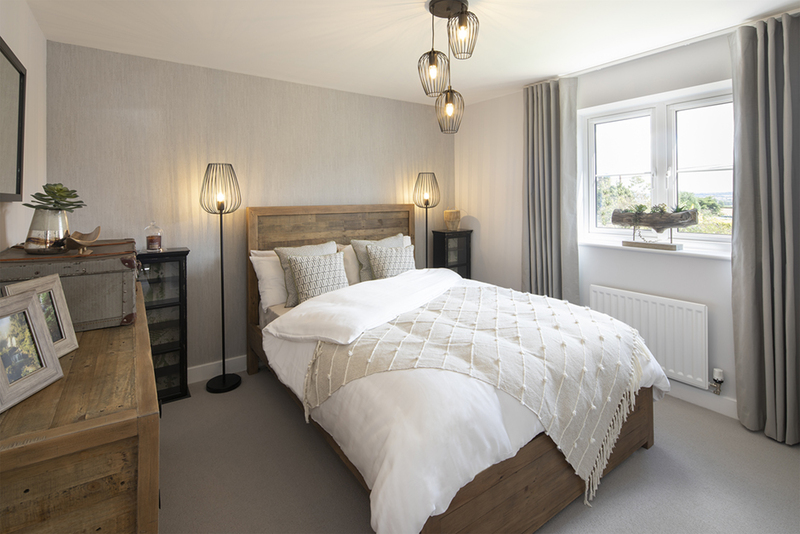 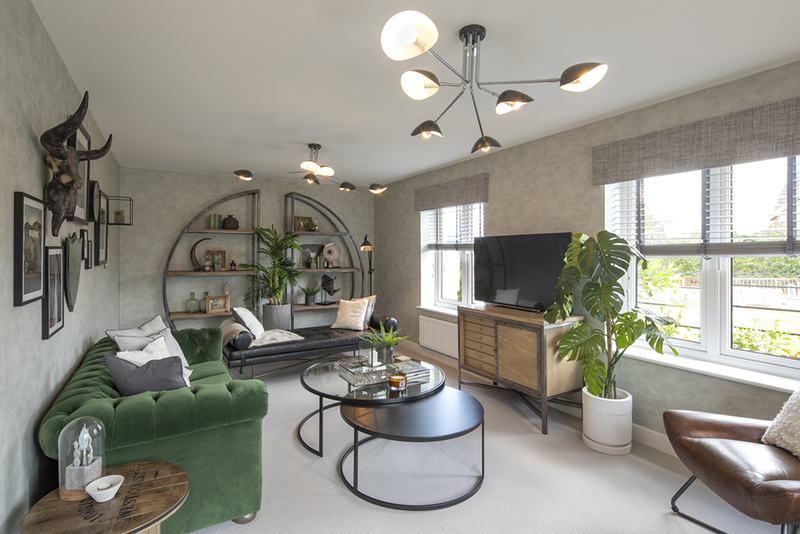 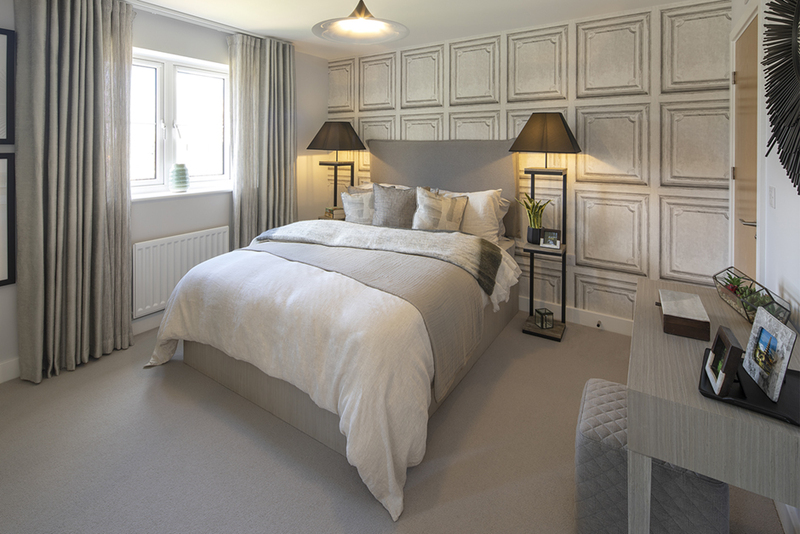 Bowood Gate was designed as an eclectic inspired scheme using both old and new furniture, to create an on trend industrial inspired living space. 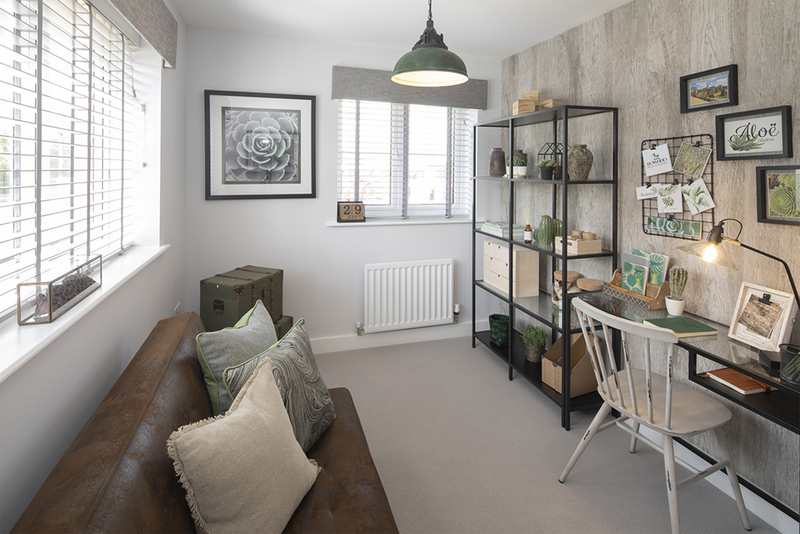 I chose to bring the semi- rural setting in to the scheme with warm wood and in furniture and forest green accent colours in the fabrics. 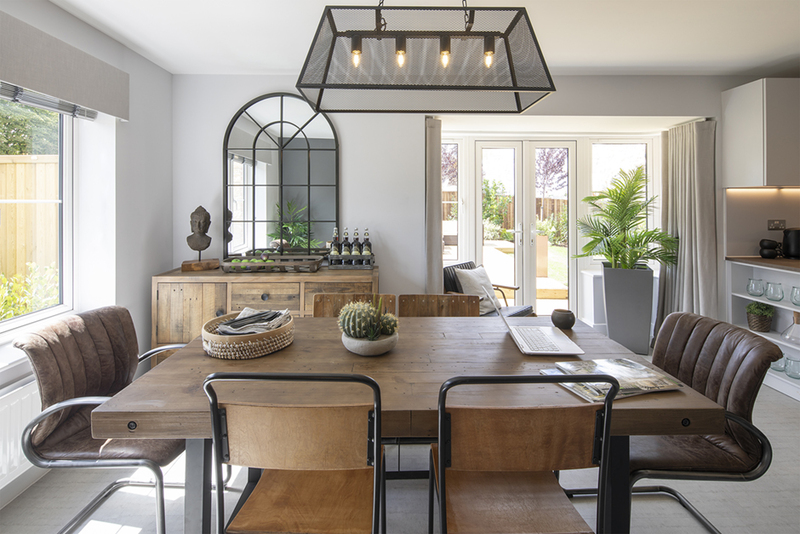 My favourite room was the open plan Kitchen/Dining area, it really is the heart of this home and creates a real wow factor.